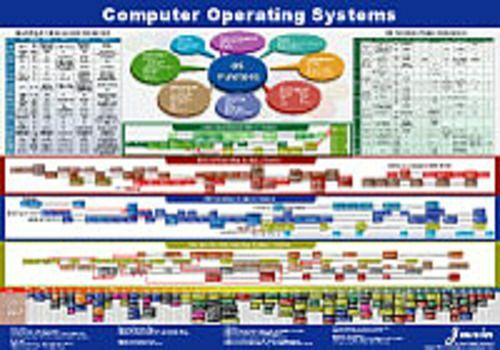 The computer operating systems (OS) map presents functions of Operating Systems and comparison of all major OS. It also provide compelete history of computer OS development since the inception of computers in 1950' till now. More details of timeline of UNIX and UNIX-lie OS, IBM OS, Microsoft and Apple OS are also displayed.